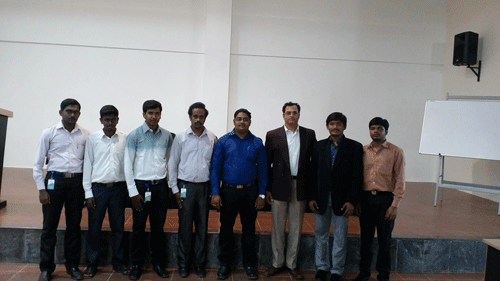 The audience for this IBM presentation was primarily 4th-year, with some 3rd-year students of CSE, IT and ECE. The duration of the presentation was 2.5 to 3 hours at each of the 4 colleges we were invited to. I have been part of Opteamize Cloud Solutions Pvt. Ltd., Chennai working as a Full Stack Developer on their SaaS products – Corporate Connect & EduProject both powered by IBM Bluemix. For the stack curious, we use Angularjs on the front end, Nodejs server side and IBM Cloudant as our database. We have written posts prior to this on why we chose Cloudant as well as what’s so great about it. Opteamize Cloud Solutions Pvt Ltd, an IBM Business Partner offers SaaS solutions that optimize business (prospect), academic (project) and recruitment (placement) processes. All students were very enthusiastic about cloud computing and wanted to understand the latest technologies. So, first, Mr. Srinath Ranga, Director of Opteamize Cloud Solution began the IBM presentation. He talked about predictions in IT including hot programming languages and current placement situation in the IT Industry and then I followed with my talk about Cloud computing, IBM Bluemix, and the Opteamize products and solutions powered by IBM Bluemix. In simple terms, I started to explain the evolution of Cloud via IaaS (Infrastructure as a Service) and how companies had to repeat the same web server configuration & dependency installations. Companies then resorted to converting the repeatable steps into a script (e.g. Cloud Foundry Build Pack). This conveniently installed the needed framework and/or runtime support and packages with the infrastructure. Few clicks and your server are ready with your needed runtimes (PHP, Java, Python, .Net)! Thus was born ‘Platform as a Service’ or PaaS (e.g. IBM Bluemix). Removing application installation and transform the application from a desktop (Client Server, On-Premise) to a web product is ‘Software as a Service’ or SaaS. Bluemix is a Platform as a Service (PaaS) based on Cloud Foundry open technology and runs on SoftLayer infrastructure. Bluemix supports several programming languages and services as well as integrated DevOps to build, run, deploy and manage applications on the cloud. Corporate Connect and EduProject are SaaS products from Opteamize built on top of Bluemix. Opteamize helps to accelerate placements for students through the Corporate Connect Program and enables students to manage, code and deploy their web, mobile, and IoT academic projects on the EduProject platform. We have also written about our first Corporate Connect meet. To make the IBM presentation session more interactive, we held a quiz competition about listing the advantages of cloud computing pitting the boys versus the girls and interestingly this got the attention with crowdsourced answers! Maybe some gamification required on the product too? Students listed up to 15 advantages and here are some of the competitors who represented their gender! Students need to be told more about Cloud and its advantages to quell the ‘what is in it for me?’ syndrome. The difference between Iaas, PaaS, and SaaS should be clearly spelled out at the beginning itself. Concepts like droplet (DEA) and Runtimes are new to students and hence the danger of being too “technical” and being tuned out. The value of APIs (Application Programming Interface) was excellently picked up by students. Competitions and quizzes which we ran were very successful and helped to keep the attention of students. In conclusion, the feedback from students was really gratifying. Many now clearly understand the difference between IaaS, PaaS, SaaS and also got their first look at IBM Bluemix and the immense advantages it offers them. Personally, I am getting a better understanding of cloud, IBM Bluemix and Cloud Foundry with every passing day and IBM presentation! Thanks to Opteamize and the Colleges and faculty for the opportunity. 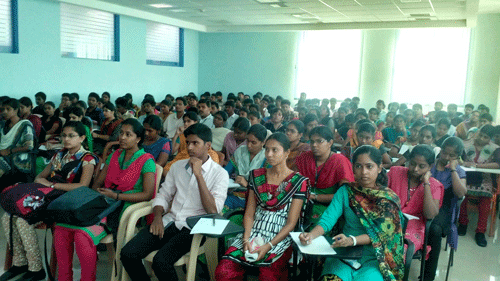 Propulsion Technologies, Coimbatore coordinated the events excellently at the 4 colleges. Thanks to Sathees Kumar and the entire team of Propulsion Technologies for their support. For more about Opteamize and our solutions, contact us.